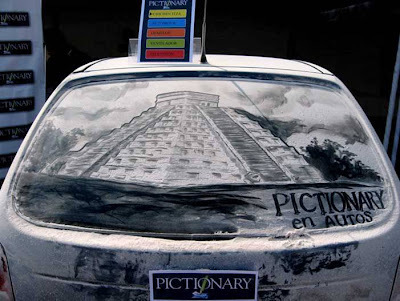 Dirty Car Art (www.dirtycarart.com) is one of the most original ambient ideas that I have seen. 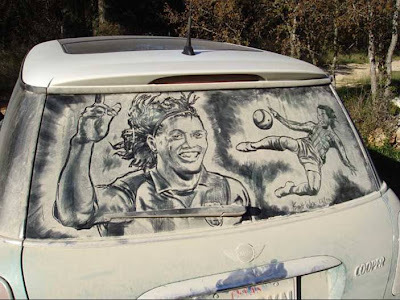 Rather than writing messages like 'Clean Me' on dirty cars, Texas artist Scott Wade produces works of art instead! 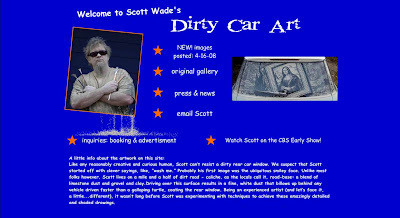 Scott Wade's dirty car art has gained such a following that he is now working for advertisers and using his dirty car art skills as part of commercial campaigns. 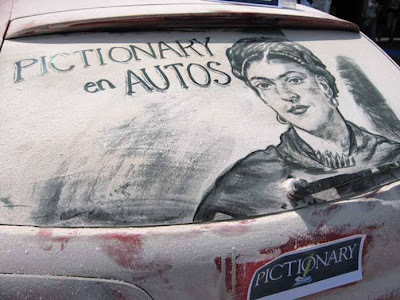 Whilst the images are created on dusty cars and wash away in rain, this work is extremely eye catching and is a great way of generating word of mouth buzz!